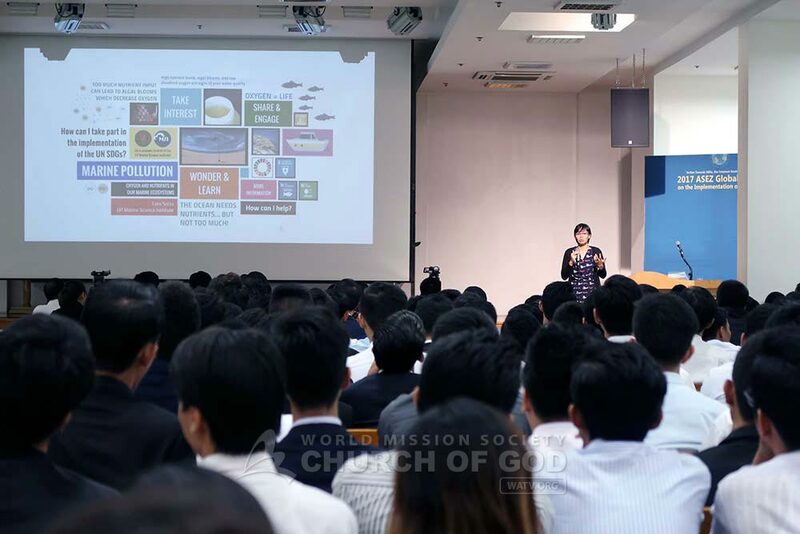 The UN’s sustainable development goals [SDGs] are the agenda and the international community’s common goals adopted by the United Nations in 2015 for the sustainable development of humanity. 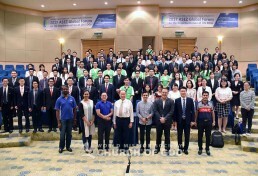 The international community agreed to implement the 17 goals together by 2030 under an ideology that is to “leave no one behind.” As a part of the plan for the happiness of humanity, ASEZ held forums in order to let all people realize the importance of the SDGs and to explore the role of university students from December 7, 2017 to January 2018 in ten countries: Korea, Argentina, India, Taiwan, Philippines, Nepal, Malaysia, the United States, Chile, and Mexico. 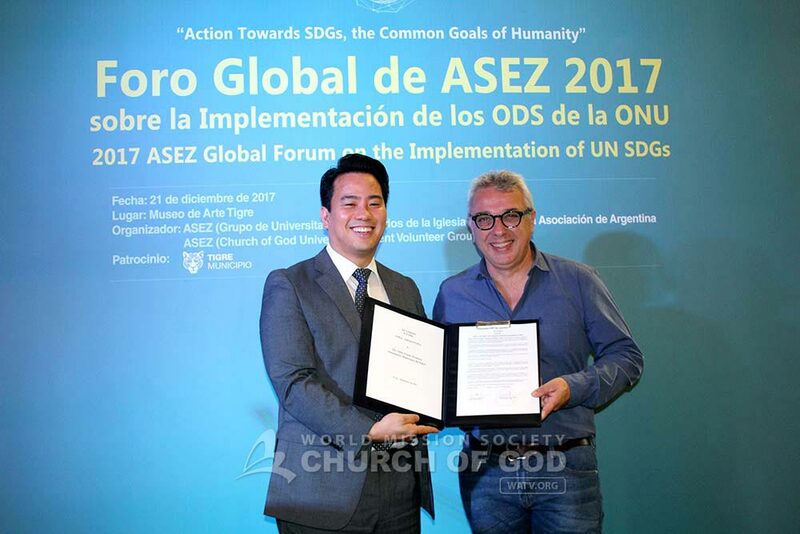 The forum consists of introducing ASEZ activities, topic presentations of the experts from various fields, signing the ASEZ proposal for the implementation of the UN SDGs, and signing MOUs. 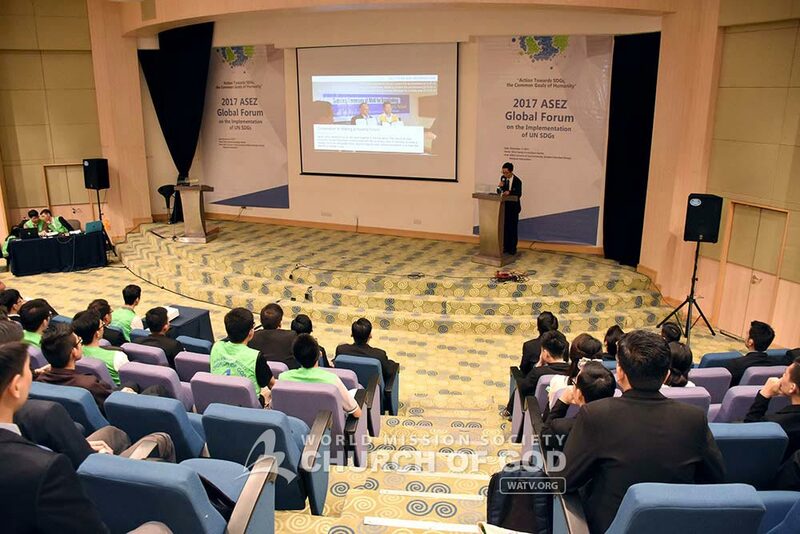 The university students and the members of all walks of life participated in the forum and had a meaningful time to explore the role of students in regard to environmental problems and universal problems of humanity. 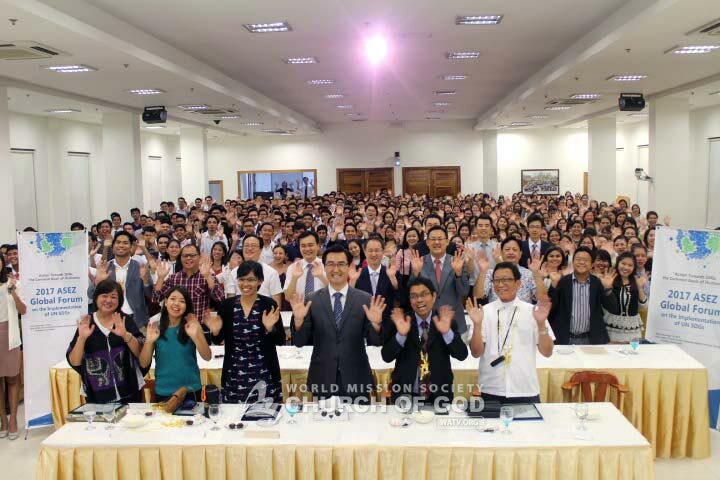 In South Korea, about 3,000 people, including Korean university students, international students, the deputy head of Kenya Embassy, officials from Foreign Embassies in Korea, university professors, representatives of companies, and pressmen, participated in the forum held at the New Jerusalem Pangyo Temple. 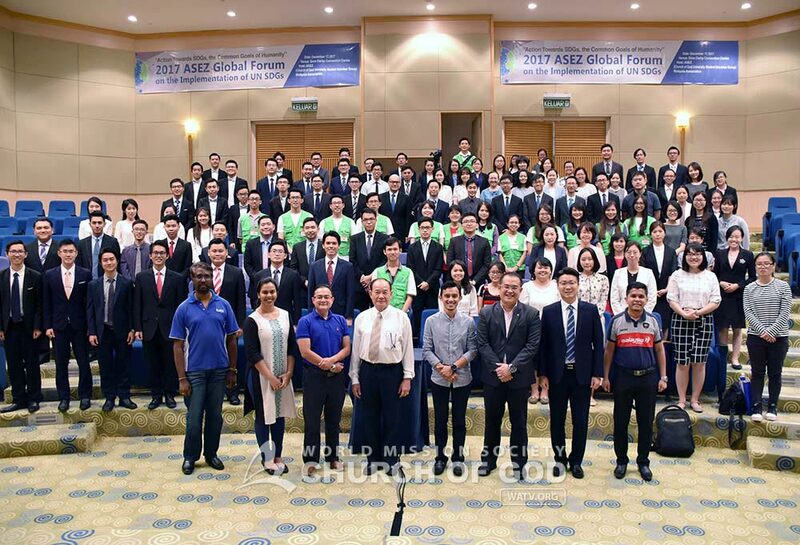 Through this forum, ASEZ informed about the roles of university students and of all walks of life for the implementation of the SDGs and encouraged their participation. 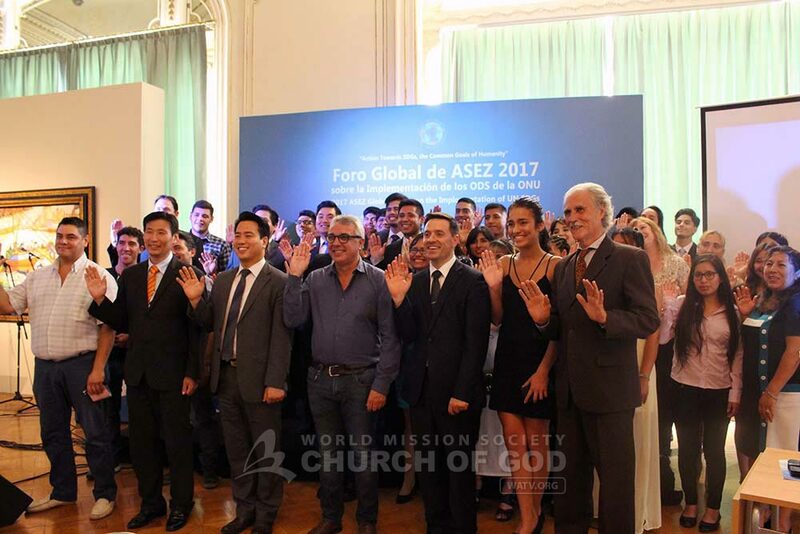 Also, ASEZ signed the MOUs with local governments from various countries and promised a close cooperation. The sustainable development goals, including termination of poverty, solution for famine, promotion of well-being, promotion of education, gender equality, water and sanitation, energy provision, solution for inequality, and preparation for climate change, clearly reflect the challenges that humanity faces. We need universal love for humanity without discrimination to solve these problems and to achieve a happy life where “no one is left behind” as the UN SDGs aim. ASEZ believes that the source of such love for humanity is “Mother’s love.” In 2018, ASEZ will continue Social service, Awareness raising, Victim relief, Environmental protection [SAVE] movement with “Mother’s love” and will concentrate on making the world bright and hopeful.